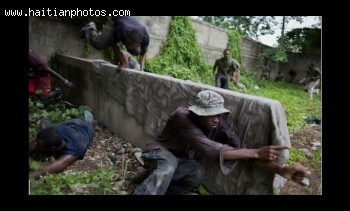 New development in the issue related to the re-establishment of the Haitian Military. According to information provided by Radio Caraibes FM, the Old Haitian Military known as Forces Arme D'Haiti that was disbanded by former president Jean-Bertrand Aristide is back in function. They already occupied Camp Lamantin 54 and some other facilities left vacated by the old Haitian Military known as Forces Armees D'Haiti (FADH).